Domestic education expenditure (DEE) on higher education includes all expenditure on public and private institutions in mainland France and the overseas departments, on education and related activities: university publications, administration, supplies, university libraries, etc. It does not include continuing education activities. This expenditure is assessed every year by the French Education Account. The expenditure amounts for the latest year are provisional. The more significant drop in expenditure per university student between 2013 and 2014 was half due to a change in scope: from 2014, some institutions, whose primary focus was not teaching and where the expenditure per student (calculated by applying the entire budget to the low student numbers), was especially high, have been withdrawn from the university scope (for example, the Institut de physique du globe (Institute of Earth Physics), the Natural History Museum and so on). Likewise, students at Institutes of Political Studies (IEP) and engineering schools attached to universities, with budgets no longer identifiable from RAP 2014 (Annual Performance Report), have not been taken into account. The definition of university adopted by the Education account is thus aligned to that of the RAP. There was no change in scope between 2014 and 2015. This change in situation could not be retropolated to the past. The nation spent €30.1 billion (€bn) on tertiary education in 2015. This is 2.6 times more than in 1980 (in constant euros). The contribution by central government represented 67.9% of that amount. In 2015, average expenditure per student stood at €11,680, or 40% more than in 1980 (in constant euros). In 2015, the nation (central government, local authorities, other public administrative bodies, households and companies) dedicated €30.1 billion to tertiary education, a rise of 0.2% over 2014 (at constant prices). Since 1980, expenditure on tertiary education has seen strong growth of 2.7% per year on average. Its share of domestic education expenditure (DEE) increased from 15.1% in 1980 to 20.3% in 2015 (table 01.01). Over the whole period, DEE on tertiary education was multiplied by 2.6 in constant euros (chart 01.02). Despite this significant increase, average expenditure per student rose by only 40% due to a doubling of student numbers. Over the same period, average expenditure per secondary school pupil increased by 65.9%. Over the period 2006-2009, when there was both a rapid increase in DEE and a slowdown in student enrolment, expenditure per student increased by 3.5% on average per year. Since 2009, however, the slowdown in DEE combined with a new rise in the student numbers has resulted in a drop in spending per student of 0.5% annualy 1. Average expenditure per student stood at €11,680 in 2015 (chart 01.03). Although it may be difficult to compare the cost of different curricula directly, especially since research expenditure is included in the university totals, there are considerable differences from one branch of study to another. The cost varies from €10,390 euros per year for a university student to €15,100 for a pupil in a class preparing for admission to Grandes Ecoles (CPGE). However, in recent years, the gap between these average expenditure figures has tended to narrow (chart 01.03) but they have diverged again for two years. More than seventy per cent (73%) of total expenditure goes on staff, especially teachers' wages (44%) (chart 01.04). In terms of initial funding (see definitions opposite), central government contributes the major share of DEE for tertiary education (67.9%) while local authorities contribute 10.7% and households 9.4% (table 01.01). In terms of final funding, i.e. after including grants in the household budget, the household share practically doubles (17.4%). Some direct or indirect support, funded by the central government and which benefit students or their families, do not appear in the DEE for tertiary education: these are related to taxation (increase in family quotient) or are not directly linked to student status (social housing benefit). If they were included (excluding social welfare payments), expenditure per student in 2015 would then increase €11,680 to €12,880. 1 Change in expenditure on programmes 150, 231 and 142 of the Inter-ministerial Mission for Research and Higher Education (MIRES) was -0.2% between 2010 and 2011, +1% between 2011, and 2012, +0.9% between 2012 and 2013, +0.0% between 2013 and 2014, and +0.1% between 2014 and 2015 0 (at 2015 prices). 1 This includes Social housing benefit (ALS), the State contribution to Individualised rent subsidy (APL), increase in family quotient, tax reduction for tuition fees. 2 The structure of initial funding in higher education could not be backcasted before 2006. 3 Including the French national research agency (ANR) and the consular chambers (chambers of commerce and industry, chambers of trade, chambers of handicrafts, chambers of agriculture, etc.). 1 « Higher education producers » are economic agents (in the majority of cases, institutions) which carry out education activities. En 2015, la France a consacré 147,8 milliards d’euros à son système éducatif, soit 6,8 % du PIB. La dépense moyenne pour un élève ou un étudiant est de 8 440 euros. Elle augmente avec le niveau d’enseignement, allant de 6 190 euros pour un écolier à 11 680 euros pour un étudiant. L’État est le premier fi nanceur de l’éducation (57 %), devant les collectivités territoriales (24 %). Les dépenses de personnel, en augmentation, représentent trois quarts du total. Combien coûte l’éducation ? Quels agents économiques, État, collectivités territoriales, ménages, entreprises, en assurent le financement ? Quelle est la dépense moyenne pour un élève ou pour un étudiant ? En répondant à ces questions, le Compte de l'éducation vise à apporter une mesure de l'effort monétaire que la collectivité nationale consacre au système éducatif. Il est en cohérence avec la Comptabilité nationale dont il constitue un compte satellite. 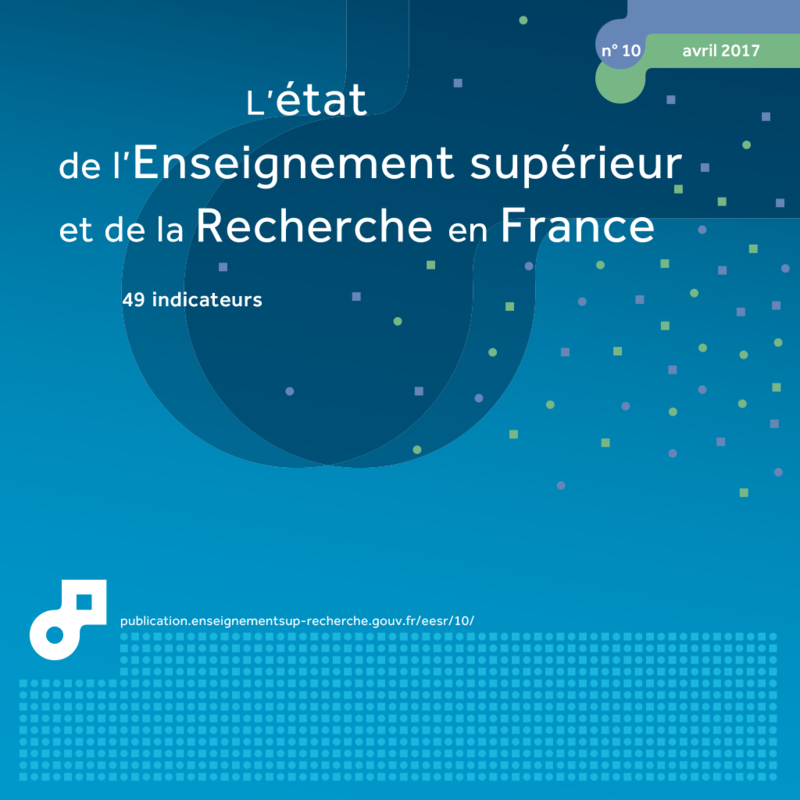 Ce dossier actualise les principes et méthodes utilisés par le Compte de l’éducation pour rassembler et organiser dans un cadre synthétique l'ensemble des flux économiques relatifs aux dépenses d'éducation et à leur financement. Il comprend des résultats calculés avec les nouvelles méthodes qui constituent une série cohérente sur la période 2006-2014.